When organising a conference, even something as seemingly simple as a conference submission system can eat into your free time and derail your deadlines. Here’s how to avoid becoming ensnared. Setting up a manual conference submission system is the sort of thing that can seem like a good idea at the time. 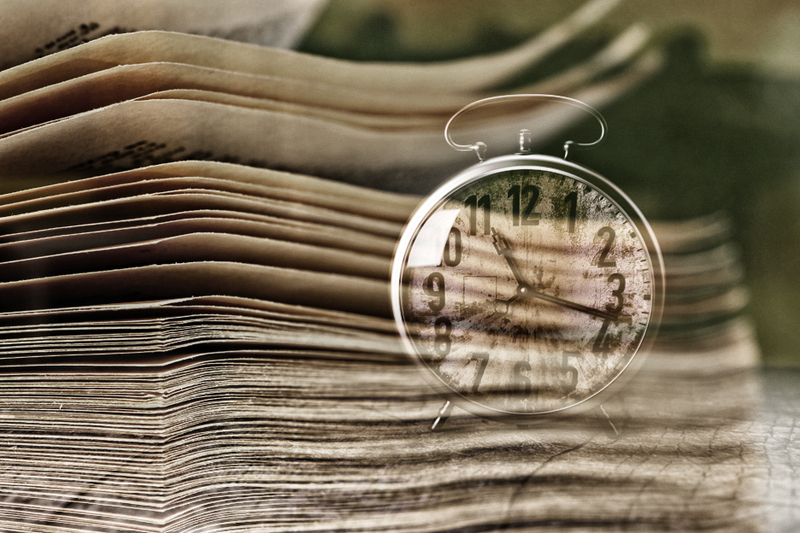 You might think: How much time can it possibly take to collect submissions from authors? And then before you know it you’re up till 1 am, eyeballing word counts, checking topics and pinging irate replies to authors who’ve blatantly ignored your formatting guidelines. If you’ve organised a research conference in the past, you’ll know the devil’s in the details. If not managed carefully, there are a number of nefarious time traps that can ensnare you. Get caught in them and they’ll obliterate your time and push your stress levels to the max. If your organising committee is considering setting up a manual conference submission system, have a good long think before you make a decision. As a sampler, here are seven time traps you’ll need to navigate in a manual system. 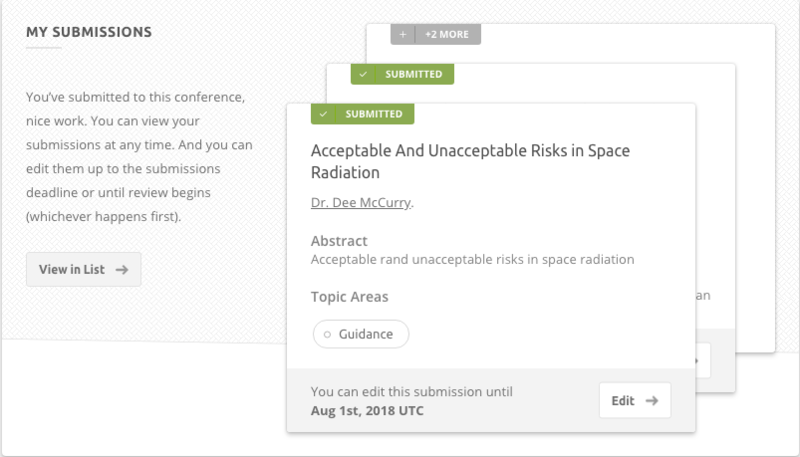 Scan through each submission to check it meets your required format (like abstract, extended abstract or paper) and layout. Check that each author has included which topics or themes they’re submitting under. Cut and paste every section of each abstract into Word or an online word counter to check it meets your word limit. If the author has ignored your format, word count requirements, or topics, request a corrected version of their submission. Cut and paste each submission into separate columns in Excel (for title, abstract name, author name, organisation, email address, topics etc). 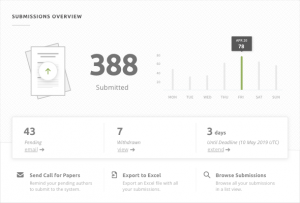 You’ll need it done like this so that later on you can allocate submissions to reviewers and compare review scores. If a submission has additional material attached, save it and include a link in the Excel file. Email each author a submission receipt. While none of these tasks is exactly complicated, the sum of their parts can be considerable. Managing your conference submission system manually can mean five or 10 minutes of checking and storing each submission. And if you miss just one submission, particularly if it’s from a heavy-hitting author, it can be a real issue. Plus, most conferences receive the bulk of their submissions around deadline day. So now picture the seven tasks above repeated hundreds of times over a two- or three-day period. That’s a lot of late nights, uninspiring work, and admin stress. But it doesn’t need to be this way. With the right software (and a bit of planning) you can set up a conference submission system that will practically run itself. Conference management software is built to remove the bulk of admin work from organising a conference. You can use it to register delegates, collect presentations and create your conference schedule. And, if your conference management software has a research focus like Ex Ordo does, you can use it as your online conference submission system too. Getting set up takes about 30 minutes. And the beauty of automation is that, once your submission system is set up correctly, you can sit back and watch your conference’s submissions flow in. Authors need to follow your format and layout stipulations to complete their submission. If an author exceeds an abstract word count limit you’ve set, they can’t proceed to the next stage. Authors can submit and edit their work only up until a submission deadline of your choosing. If you ask them to, authors must choose which topics are most relevant to their submission. You can ask authors to answer optional or mandatory questions, like agreeing to an anti-plagiarism statement, answering ethics questions or identifying if they’re a student. Authors and co-authors will get automatic notifications when their paper is submitted (and when any edits are made). You can limit options like the number of topics an author can select, or the number of co-authors they can add to a submission. Using well-designed conference management software also means that authors can submit and update their submissions online, so your inbox stays clutter-free. And they can make edits to their submissions right up to the deadline, so you don’t need to. If your conference is expecting less than 50 submissions, a manual conference submission system can be a viable option. But handling any more than this without the help of conference management software is the stuff admin nightmares are made of. So give yourself a break and outsource the heavy lifting. So you can concern yourself with more important things, like lining up a keynote speaker with serious draw, creating sponsorship package ideas. Or, getting back to your actual day job. How to get through your conference peer review process in one piece.